Does your company have a need for technically proficient staff but can’t find the resource to do it internally? Why not try The Call Centre! At The Call Centre we have experienced technical support staff for you to outsource first-level technical services to. Our technical support call centre operators are fully trained and are capable of handling many technical queries and support problems. In the event that we cannot resolve the issue ourselves, we will escalate and assign the tasks as appropriate for your business and to meet your SLA commitments. When it comes to customer service, technical support is a service that needs to be done right. Don’t leave it to chance, talk to The Call Centre about our technical support capability. 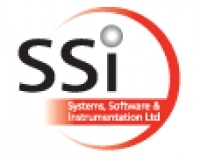 “SSi have used the services of The Call Centre since 2003 and have been pleased with the service and response from the Call Centre team who receive our afterhours calls. Our client base is global and with the varied time zones, having a 24 hour response allows a timely response for the issues that may arise. The Call Centre Team have clear instructions for receiving and logging the after hours calls and accommodate changes to these arrangements if required. The Call Centre provides a professional, effective service.